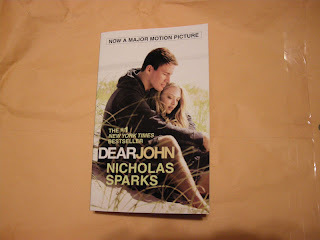 My favorite freebie of the week was the book Dear John by Nicholas Sparks which I got from a website called Hit Predictor. I've been wanting to get this book ever since I found out one of my favorite actors, Channing Tatum, was going to be in the film adaptation of the book. You can join Hit Predictor by clicking here. It's a site where you earn points by listening to music clips and answering polls. Hit Predictor added the book Dear John to their store a few days ago so I immediately used my points to get it. I started reading Dear John over the weekend and so far I like it. It's the first Nicholas Sparks book I own. I'm still not sure if I want to finish the book before I see the movie. In case I need a cup of coffee while I'm reading Dear John, I have 1 lb. 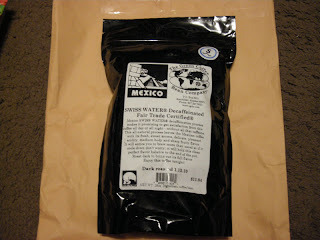 of Fair Trade Certified Swiss Water decaffeinated coffee from The Green Coffee Bean Company (@TGCBC on Twitter) and Fair Trade Usa (@fairtradeusa on Twitter). 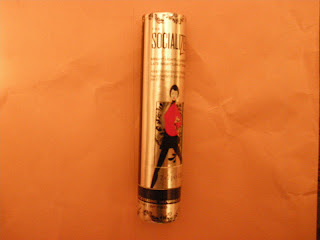 In November 2009, I signed up on Allure Magazine's website for a free beauty product from Elizabeth Grant called The Socializer. It's supposed to reduce puffiness around the eyes. On the Elizabeth Grant website (http://elizabethgrant.com/store/product.php?productid=16366&cat=304&page=1) the price of it is $40 so I'm glad I get to try it for free. 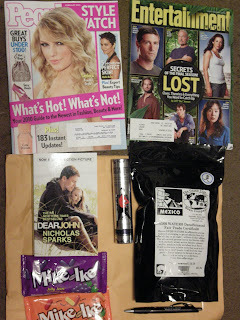 That was a great end to January and now that it is February, I am hoping for more great goodies to come to my mailbox!